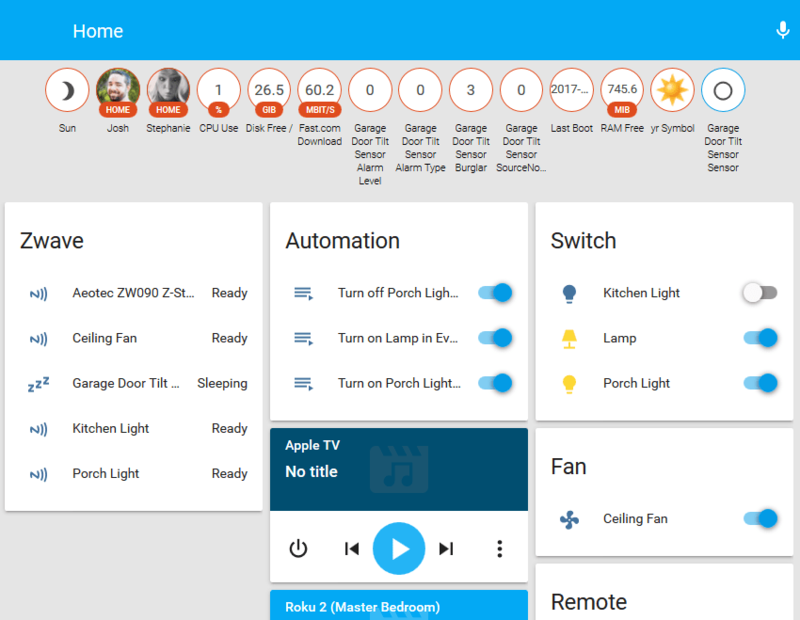 This entry is part 8 of 11 in the series Creating My Smart Home. As my smart home continues to grow in complexity–and as my household becomes more used to its advantages–I’ll want to make sure I’m aware of any problems as soon as possible. One way to help with this is to monitor the performance of the Raspberry Pi itself. Home Assistant has several system-monitor components that can help with this. The System Monitor documentation covers what it can do; here I’m monitoring total free disk space, free RAM, processor use in percent, and the last boot time. I’m using the Fast.com component’s default settings which measure download speed once an hour. After I saved the changes to the configuration.yaml file and restarted Home Assistant, I could see these new sensor entities in the web UI. Note: I had to run a manual test for the Fast.com component before it displayed a value. 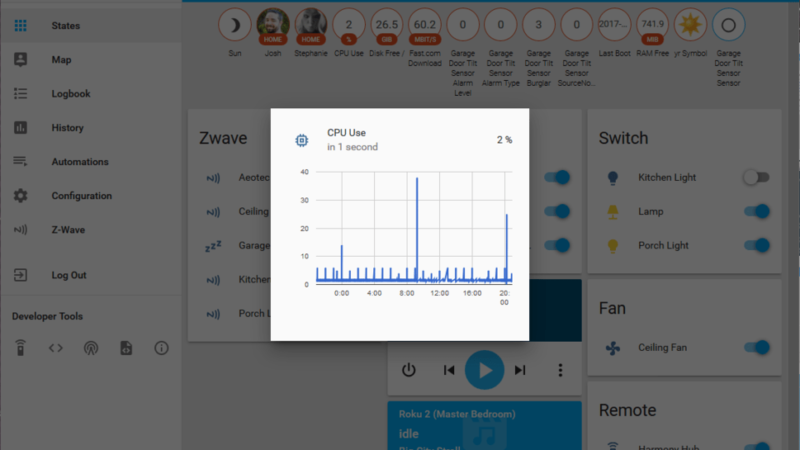 The System Monitor resources and Fast.com result are displayed in the web UI and are available as sensor entities in Home Assistant. Now I could theoretically set up automations that flash the lights in the kitchen if the CPU use goes above 90%. I’ll more likely use iOS notifications, but more on that in a future post.